Run Time: 137 min Rated: PG (Canada) PG-13(MPAA) for intense sequences of violence and action, and for some thematic material. The Hunger Games: Mockingjay Part 2 is a war film. An adaptation of the last half of Suzanne Collins's young adult fiction novel, Mockingjay takes place in a dystopian post-apocalyptic world where a select few live in luxury while those in neighbouring districts live in poverty. 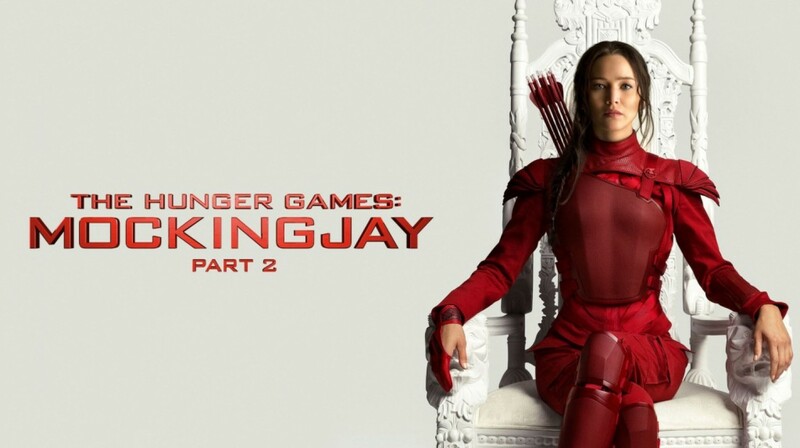 Last year’s The Hunger Games: Mockingjay Part 1 set the stage and Part 2 details the final push into the Capital District as a determined Katniss Everdeen (Jennifer Lawrence) strives to topple President Snow's (Donald Sutherland) iron grip on Panem and its 13 districts. This fourth film in the series resolves the love triangle between Katniss, Gale Hawthorne (Liam Hemsworth) and Peeta Mellark (Josh Hutcherson) while counting the cost of war on Katniss, her family and friends. Notable in this film is the continued theme of "the ends justify the means." There is very little moral hand-wringing over the conscious and deliberate use of propaganda, or assassination, or military intervention to facilitate regime change. Katniss' personal line-in-the-sand is her desire to spare any and all civilians. However, this is not the majority view within the resistance which sees civilians co-operating with Snow as collaborators and enemies. 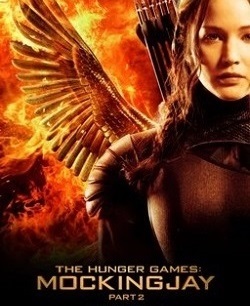 As the film unfolds there are questions in the air: Will Katniss end the film where she begins it? Will she consistently go along with the philosophy of "the ends justify the means?" Repeatedly in The Hunger Games series Katniss allows herself to be used for propaganda purposes to serve her own ends; Mockingjay Part 2 is no exception. Her goal in this final film is to personally assassinate President Snow. To do this she manipulates District 13's president Alma Coin's (Julianne Moore) continued desire to use Katniss—the Mockingjay—as the face of the uprising. Whether Katniss is being manipulated by a Hunger Games game-maker like Plutarch Heavensbee (Philip Seymour Hoffman), President Snow, or Coin she seems intuitively aware of their sense of her usefulness. 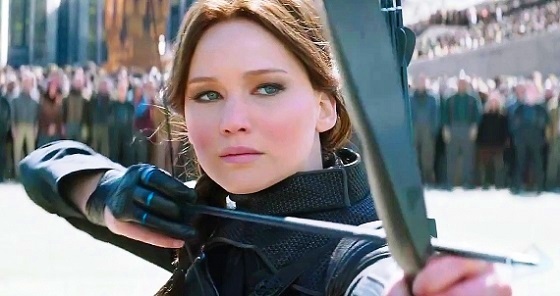 Pawns are disposable and Katniss persistently outlives her usefulness to those in power. In each film she lives her life knowing her time may be short. Is Katniss a noble character? In the end she is, but along the way she is not. Katniss doesn't always have the greater good in mind. While she cares for the plight of the downtrodden her desires are often presented as selfish. Her success is due to the fact that her selfish goals are in line with the goals of the masses. If her goals were not in line with the put-upon people of the impoverished districts of Panem would she then be a villain? President Snow sees something of himself in her, and Katniss sees something of President Snow in District 13's president Alma Coin. A turning point for Katniss is when she acknowledges the blood that's on her hands; the many people who died because of her personal decisions. In a moment of clarity Peeta comforts her and encourages her in her quest for revenge by saying, "Our lives were never ours, they belong to Snow and our deaths do too. But if you kill him, Katniss, all those deaths, they mean something." Essentially, all is forgiven when Snow is dead, or "the ends justify the means,"—this coming from a man who was tortured and conditioned into an instrument of assassination by Snow. The previous film concluded with Peeta strangling Katniss on Snow's orders. 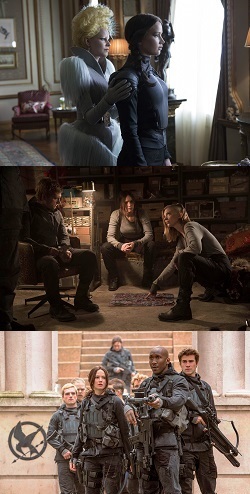 Viewers unfamiliar with the outcome of the book may ask: Will Katniss get to Snow in his presidential mansion; will she get past his "peace keepers" and the traps and of the game-makers of the Capitol District; and what will Katniss say to Snow if she does; what will she do when she is given the opportunity to exact her revenge? In Scripture, David was well known by his enemies, his friends, and the people of the land, and there are some things about Katniss' character that might draw Christian viewers to thoughts of David in the Bible. Could Snow be like Goliath and Katniss like David? Dig a bit deeper and the better analogy is that Snow is like King Saul who repeatedly attempted to murder David out of jealousy and fear as David grew in popularity and ability. The first book of Samuel details a cat-and-mouse game of survival between King Saul and the anointed David, where David has his rebels who gathered to him — " everyone who was in distress, and everyone who was in debt, and everyone who was bitter in soul," —just as Katniss has passionate supporters who are destitute and at odds with Snow. However, this analogy eventually breaks down because David didn't wish King Saul dead the way Katniss wished Snow dead. David found every opportunity to spare the king’s life even as Saul actively plotted and schemed David's death. The Hunger Games series ends on a note of optimism and love. With the past behind her and the war ended Katniss says to one of her children, "Did you have a nightmare? I have nightmares too. Someday I'll explain it to you. Why they came. Why they won't ever go away. But I'll tell you how I survive it. I make a list in my head. Of all the good things I've seen someone do. Every little thing I could remember. It's like a game I do it over and over. Gets a little tedious after all these years, but... There are much worse games to play." This concluding comment echoes St. Paul’s words about love. He says love is not irritable or resentful, it keeps no record of wrongs. Perhaps then a picture of love would be a list of all the good things someone has done for others. Remembering such a list might be tedious, but love is patient and kind. Alongside all the fighting, explosions, and monsters in Mockingjay Part 2 with love and vengeances intertwined, love is not choked, trampled or snatched away by vengeances. Katniss is flawed but she is not without love: Through the series she bears all things, believes all things, hopes all things, endures all things. For fans of The Hunger Games series Mockingjay Part 2 will provide a satisfying conclusion even if the last book in the series didn't really require two films to tell its story. Rev. Ted Giese is associate pastor of Mount Olive Lutheran Church, Regina, Saskatchewan, Canada; a contributor to KFUO AM Radio, Higher Things Magazin, The Canadian Lutheran and Reporter; and movie reviewer for the “Issues, Etc.” radio program. Follow Pastor Giese on Twitter @RevTedGiese. Check out our Movie Review Index!